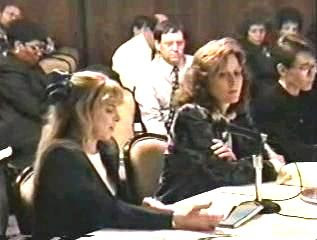 1977 Senate MKULTRA Hearing - In June 1977, a rare cache of MKULTRA documents were discovered, which had escaped destruction by the CIA. The Senate Select Committee on Intelligence held a hearing on August 3, 1977, to question CIA officials on the newly-discovered documents. 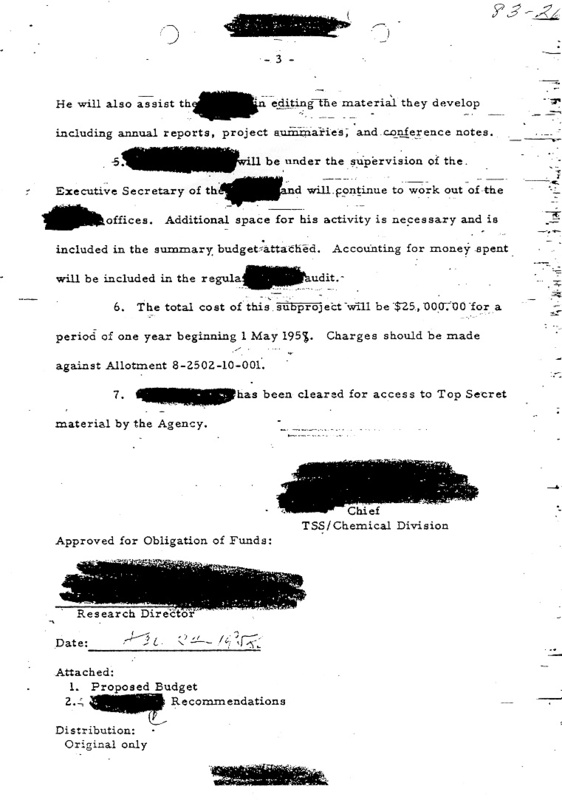 The complete 171-page record is included here, including testimony and dozens of MKULTRA documents on various subprojects. 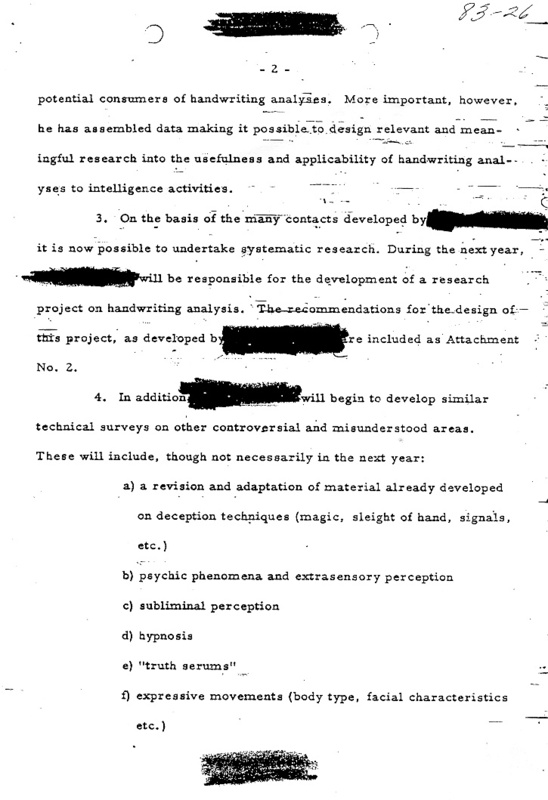 MKULTRA is one of the most disturbing instances of intelligence community abuse on record. For many Americans, the 1950s were a docile decade. In U.S. history books, the period is mostly portrayed as a mellow, orderly one, especially in light of the social upheavals that followed in the 1960s. But for the CIA, the "I Like Ike" years were packed with adventure and action, much of it conducted outside of the public's view. 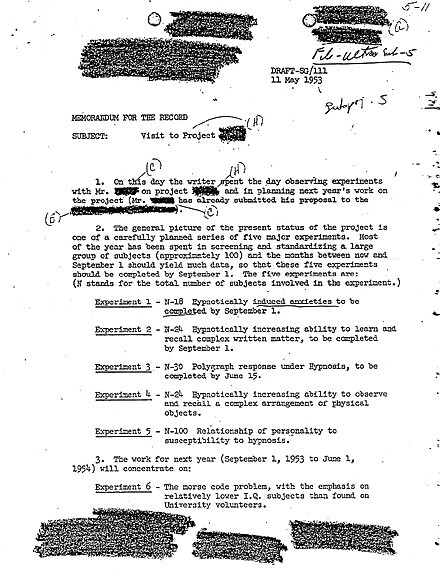 Few programs were sheltered with more secrecy than the Agency's mind control experiments, identified together with the code-name MKULTRA. 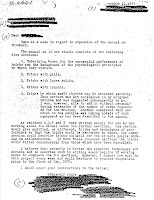 Concerned about rumors of communist brainwashing of POWs during the Korean war, in April 1953 CIA Director Allen Dulles authorized the MKULTRA program, which would later become notorious for the unusual and sometimes inhumane tests that the CIA financed. 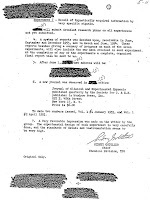 Reviewing the experiments five years later, one secrecy-conscious CIA auditor wrote: "Precautions must be taken not only to protect operations from exposure to enemy forces but also to conceal these activities from the American public in general. The knowledge that the agency is engaging in unethical and illicit activities would have serious repercussions in political and diplomatic circles." 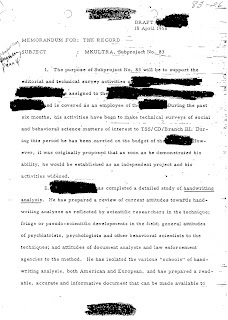 Though many of the documents related to MKULTRA were destroyed by the CIA in 1972, some records relating to the program have made it into the public domain, and the work of historians, investigative reporters, and various congressional committees has resulted in the release of enough information to make MKULTRA one of the most disturbing instances of intelligence community abuse on record. As writer Mark Zepezauer puts it, "the surviving history is nasty enough." 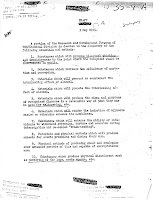 The most notorious MKULTRA experiments were the CIA's pioneering studies of the drug that would years later feed the heads of millions: lysergic acid diethylamide, or LSD. The CIA was intrigued by the drug, and harbored hopes that acid or a similar drug could be used to clandestinely disorient and manipulate target foreign leaders. (The Agency would consider several such schemes in its pursuit of Cuban leader Fidel Castro, who they wanted to send into a drug-induced stupor or tirade during a public or live radio speech.) 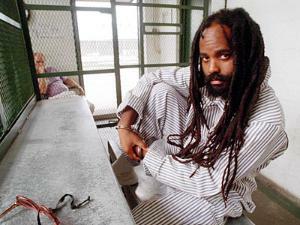 LSD was also viewed as a way to loosen tongues in CIA interrogations. 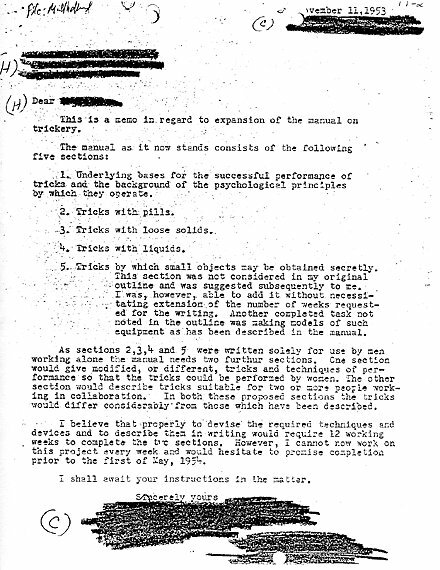 In his thorough book on MKULTRA and similar projects, The Search for the "Manchurian Candidate," John Marks reports that most of the CIA researchers tried LSD themselves. 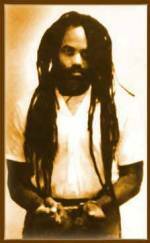 In fact, an early phase of the experiments was probably the setting for the first acid trip in the United States -- experienced by a courageous CIA man no less! The fact that these experiments took place is remarkable in and of itself, but the story of the CIA's LSD trips approaches the unbelievably bizarre when the cast of characters is considered. In his recent history of the early exploits of the CIA, The Very Best Men, Evan Thomas describes Sidney Gottlieb, the Stranglovian scientist who ran the MKULTRA project: "Born with a clubfoot and a stutter, he compensated by becoming an expert folk dancer and obtaining a Ph.D. from Cal Tech. A pleasant man who lived on a farm with his wife, Gottlieb drank only goat's milk and grew Christmas trees, which he sold at a roadside stand." 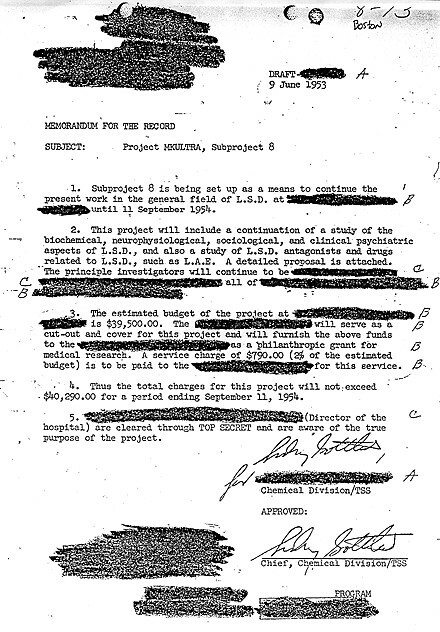 When he wasn't busy on the farm, Dr. Gottlieb was dosing subjects with LSD-laced drinks, scrutinizing their reactions, and searching for qualities of the drug that would benefit CIA covert actions. "promote illogical thinking and impulsiveness to the point where the recipient would be discredited in public" "increase the efficiency of mentation and perception" "prevent or counteract the intoxicating effect of alcohol" "promote the intoxicating effect of alcohol" "produce the signs and symptoms of recognized diseases in a reversible way so that they may be used for malingering, etc." 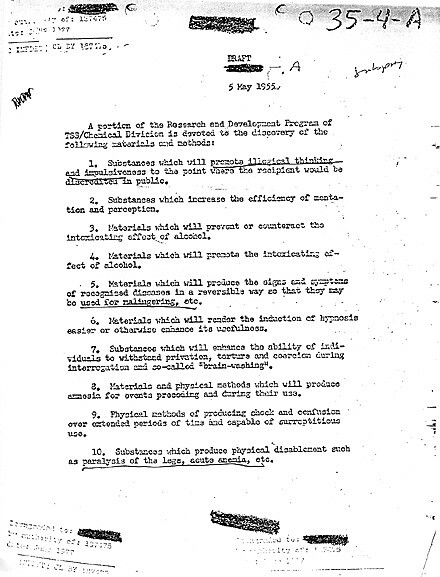 "render the indication of hypnosis easier or otherwise enhance its usefulness" "enhance the ability of individuals to withstand privation, torture and coercion during interrogation and so-called 'brainwashing'" "produce amnesia for events preceding and during their use" "produc[e] shock and confusion over extended periods of time and capable of surreptitious use" "produce physical disablement such as paralysis of the legs, acute anemia, etc." 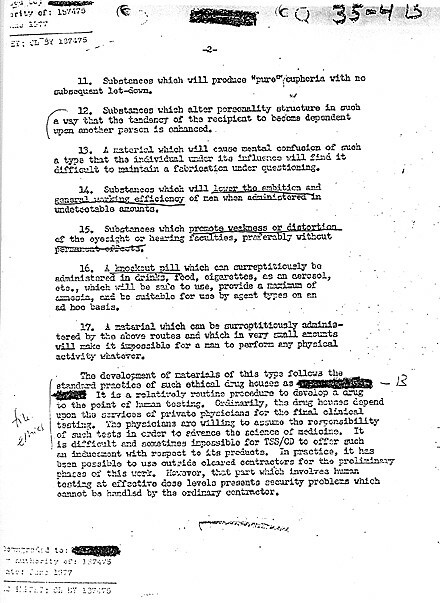 "produce 'pure' euphoria with no subsequent let-down" "alter personality structure in such a way that the tendency of the recipient to become dependent upon another person is enhanced" "cause mental confusion of such a type that the individual under its influence will find it difficult to maintain a fabrication under questioning" "lower the ambition and general working efficiency of men when administered in undetectable amounts" "promote weakness or distortion of the eyesight or hearing faculties, preferably without permanent effects" Few of MKULTRA's objectives were realized, but the very conduct of these experiments caused many critics of the CIA to argue that successful or not, CIA scientists shouldn't pry at the doors of perception (MKULTRA: CIA Mind Control by Jon Elliston). Thomas, Evan - The Very Best Men (Simon & Schuster, 1995). 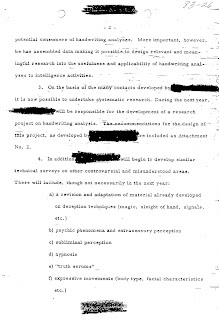 Marks, John - The Search for the "Manchurian Candidate": The CIA and Mind Control (1979). Zepezauer, Mark - The CIA's Greatest Hits (Odionan, 1994). Message board: Share your views! For nearly five decades, the Bulletin clock has told the world what time it is. The best known symbol of the Nuclear Age--the Bulletin's "Doomsday Clock"--had a hard-to-ignore debut. Early Bulletins were newsletters, lacking magazine-style covers. But when the June 1947 Bulletin arrived, it had a first-ever cover--a pay-attention-to-me jack-o'-lantern orange cover. Imprinted over the orange: a boldly simple seven-inch by seven-inch clock face. The hour hand was at 12; the minute hand at about seven minutes to. Humankind, the clock said, was in dire straits. The clock dominated most Bulletin covers until 1964, although, thankfully, less garish hues were generally used for the background. The clock, said an editorial in the July 1947 issue, "represents the state of mind of those whose closeness to the development of atomic energy does not permit them to forget that their lives and those of their children, the security of their country and the survival of civilization, all hang in the balance as long as the specter of atomic war has not been exorcized." And so the Bulletin Clock (first called "The Clock of Doom" and then "The Doomsday Clock") entered folklore as a symbol of nuclear peril and a constant warning that the leaders of the United States and the Soviet Union had better sit up and fly right. Editorial cartoonists in the Western hemisphere and Europe pirated the clock shamelessly, using it as an off-the-rack metaphor for the general madness of the Nuclear Age. In most cartoon incarnations, the clock was either a windup alarm clock or a globe with hour and minute hands. Either way, it was rigged to an explosive--sometimes dynamite, but usually a hulking nuclear bomb. The clock also became a deadline-friendly factoid for journalists. Whenever U.S.-Soviet relations hit a bad patch, dozens of reporters and editors would call from as far away as Germany and New Zealand. "Are you going to change the clock?" In the post-Cold War era, reporters call and ask the same question whenever someone, say France, does something dumb, like resuming nuclear tests. The clock has insinuated itself into the brick and limestone halls of academe. How many professors over the years have referred to the clock--approvingly or disparagingly--in history and international relations classes? No one knows, of course. But at least one academic, Joel Slemrod, a professor of business and economics at the University of Michigan, has used the clock in a research study. After postulating that ordinary people are likely to spend more when the international situation looks uncertain and gloomy and save more when it looks as if there will be a morrow, he found a positive correlation between clock moves and savings rates. (Not that the clock caused variations; it merely served as a dandy barometer of East-West tensions.) Politicians have also used the clock, no matter where they stood on the peace-and-security continuum. For hawks, the clock was a handy reminder of how dangerous the world was, thus justifying yet another multi-billion-dollar arms buildup. For doves, the clock also said the world was dangerous, but that called for conciliatory gestures and arms control treaties. Sen. Tom Harkin, an Iowa Democrat and a member in good standing of the olive branch school of international relations, titled his 1990 book on the perils of Cold War thinking, Five Minutes to Midnight. It moves! - The clock was the creation of a Chicago artist known as Martyl, the wife of physicist Alexander Langsdorf, a Bulletin founder. Years later, Martyl said she hit upon the idea "to symbolize urgency." She got that message across by using just the final quadrant of a clock face, which clearly suggested that the end of time was nigh. As for putting the minute hand at seven--that was, she said, merely a matter of "good design." The minute hand stayed at seven minutes to the hour until the fall of 1949, when President Harry S. Truman announced that the United States had evidence that there had been an atomic explosion in the Soviet Union. The Soviets promptly disputed Truman. In a statement issued by Tass (and reprinted in the October issue of the Bulletin) the Soviet government claimed that U.S. experts had confused a large conventional explosion with an atomic explosion. That was understandable, explained Tass; the Soviet Union was blasting a lot as it built hydroelectric stations, canals, and the like. And, too, did not Western reporters recall that the Soviet Union had announced in November 1947 that it already had the weapon "at its disposal"? The editors of the Bulletin, always mindful that Soviet leaders often lied, didn't buy the Tass explanation. Truman was right; the Soviet Union had set off an atomic detonation, and that was proof that the East-West nuclear arms race, long predicted by the Bulletin, was well under way. "We do not advise Americans that doomsday is near and that they can expect atomic bombs to start falling on their heads a month or a year from now," wrote Editor Eugene Rabinowitch in an October 1949 essay. "But we think they have reason to be deeply alarmed and to be prepared for grave decisions." In the October 1949 issue, the Bulletin moved the clock's minute hand for the first time, to three minutes to midnight. Birth of the "evil thing" - The Soviet atomic explosion caught the Truman administration flat-footed. Gen. Leslie R. Groves, the director of the wartime Manhattan Project, had repeatedly predicted that it would take the Soviet Union a generation or more to make a bomb. 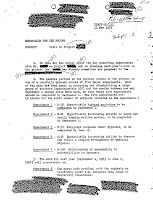 Truman was even more confident; he believed that the Soviet Union lacked the scientific and industrial competence to ever mount a successful atomic bomb program. The Bulletin was founded in December 1945 on the contrary notion. 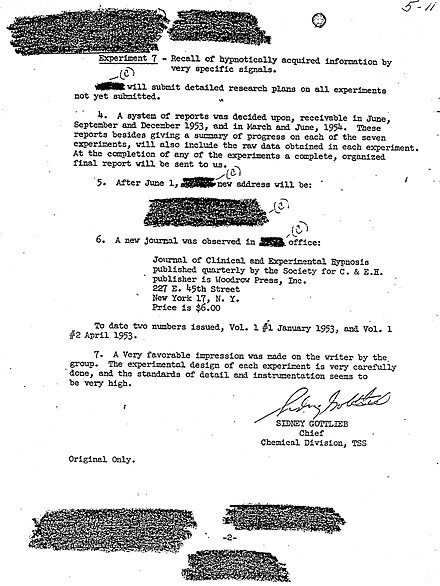 Back then, most of the scientists connected with the Bulletin believed that Soviet scientists and Russian industry were fully capable of building an atomic bomb in just a few years. (In November 1945, Harold C. Urey, a Bulletin founder, told the Senate Special Committee on Atomic Energy that "we should not think of a longer time than about five years.") The way to avoid a destructive nuclear arms race, the Bulletin said, was to put the control of nuclear energy, including weapons, into the hands of an international agency. That didn't happen, of course. And now the Soviet fission explosion had given new urgency to a secret, high-level U.S. debate that had been simmering since the early days of the Manhattan Project: should the United States build a "Super," a "hydrogen bomb" far more powerful than the largest fission weapon? A host of scientists advising the government opposed the Super. Morally, it would be so large as to be potentially genocidal. From a utilitarian point of view, it would serve no clear military purpose; fission bombs would be all anyone really needed. Physicists I.I. Rabi and Enrico Fermi, both key scientists during the Manhattan Project, described a hydrogen bomb as an "evil thing." James Conant, an adviser to Roosevelt and Truman on nuclear matters, said the "world is loused up enough"--it didn't need a hydrogen bomb. In the end, anti-Super reservations were washed away in a tide of Realpolitik. 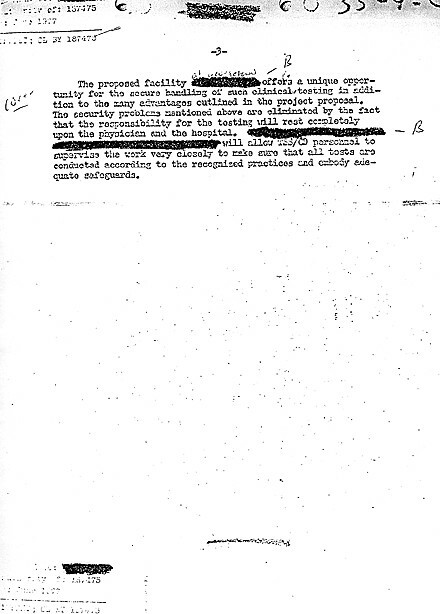 Truman's key political advisers, including Secretary of State Dean Acheson, were convinced that the Soviets could--and would--build an H-bomb. Given that, it would be intolerable for the United States not to. (Today we know that the Soviets did indeed push ahead from fission to fusion, with scarcely a pause.) On October 31, 1952, the United States tested its first true thermonuclear device, a thuggish thing called "Mike" that had a yield nearly a thousand times greater than the Hiroshima bomb. The islet of Elugelab in the Pacific, upon which it was detonated, disappeared, leaving a crater 160 feet deep and more than a mile wide. Nine months later, in August 1953, the Russians exploded a less powerful but still awesome thermonuclear device. The September 1953 Bulletin cover was remade at the last minute, as soon as word of the Soviet test got out, and the minute hand moved to two minutes to midnight. In the following issue--October 1953--Editor Rabinowitch said: "The hands of the Clock of Doom have moved again. Only a few more swings of the pendulum, and, from Moscow to Chicago, atomic explosions will strike midnight for Western civilization." Massive retaliation and a "cohesive force" - In the 1950s, the U.S. consumer society boomed as a prosperous suburban lifestyle spawned highways, barbecue grills, TV sitcoms, and children. But abroad, the news was mostly bad. The Soviets were building nuclear weapons at a rapid pace, and they had even produced a few intercontinental ballistic missiles. (Emphasis on "few." Ardent Cold Warriors, including Democratic presidential candidate John F. Kennedy, charged that a complacent President Eisenhower had let the Russians pull ahead in ballistic weapons, thus producing a "missile gap." But it was a phantom gap, the product of misinterpreted intelligence, over-reliance on worst-case scenarios, anti-Soviet hysteria, and cynical domestic political calculation.) In Europe, homegrown attempts to introduce democratic reforms in Hungary, encouraged by "liberation" rhetoric from Washington, had been aborted by Russian tanks. And in divided Germany, U.S.-Soviet relations were in perpetual crisis over the future of West Berlin, a let-it-all-hang-out oasis of capitalism in the heart of drab East Germany. On the other side of the world, the Korean Peninsula, where the United States (with help from U.N. and South Korean allies) had fought North Korean and Chinese soldiers, was still a potential flashpoint. The Korean war had not quite ended; it was merely on hold. Farther south, Communist China and the old Chinese warlord, Chiang Kai-shek, were at one another's throats. At the end of a bloody civil war, Chiang and his remaining troops had taken refuge on the island of Formosa, just off the Chinese mainland, and war in the Formosa Straits seemed perennially possible. As Chiang's protector, the United States would surely be involved. In the Korean War, Eisenhower hinted broadly that he might use nuclear weapons to bring the war to an end. As for the war of nerves in the Formosa Straits, the president got the message across that the United States would not shrink from using nuclear weapons to protect Chiang. In Southeast Asia, the colonial French government had suffered a humiliating defeat in Indochina, and there was anti-colonial, nationalist, and separatist turmoil from the South China Sea to the Bay of Bengal. In fact, the colonial world was everywhere in revolt, and the Soviet Union and the United States were in sharp competition to win the affection--or at least to buy the allegiance--of the newly independent nations. Some Third World leaders had already become adept at playing Americans and Russians off one another. But when Col. Gamal Abdel Nasser announced Egypt's neutrality, Eisenhower grew tired of the game, and a U.S. offer to help finance a high dam on the upper Nile was withdrawn. In retaliation, Nasser nationalized the British- and French-owned Suez Canal; toll revenues from the canal would build the dam. In late 1956, the Israelis invaded Egypt and were soon joined by the British and the French. Their unspoken agenda: to regain the canal and topple Nasser. Eisenhower was in a bind. If the United States supported its friends--the British, French, and Israelis--Nasser might turn to the Soviet Union for help. After that, anything could happen. Eisenhower took the cautious route: His administration condemned the invasion at the United Nations. The invading troops withdrew, the Soviets stayed out of the fracas, Nasser paid $81 million for taking the canal, and the Russians eventually financed the Aswan High Dam. Despite the tumult and bloodshed, Rabinowitch found reasons in January 1960 to be moderately encouraged by the way the decade had unfolded, at least on the nuclear front. He noted, for instance, that the "Suez expedition was called off after the fighting was well under way--in fact, when it was almost over--although vital interests of two great powers had to be sacrificed." The Suez outcome suggested that the "world map has been frozen by universal fear of a great war," he explained. In the pre-nuclear era, turmoil in many parts of the world would have led to a major war. But now, "war threats and counterthreats have become bluffs and counterbluffs."